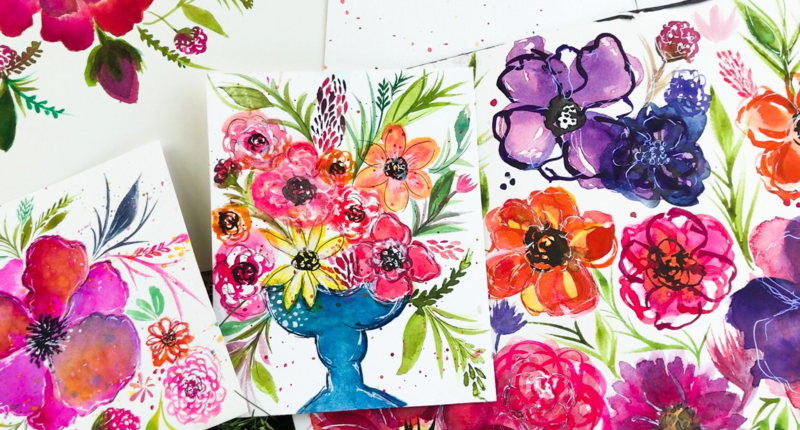 In this class, you will learn how to paint whimsical flowers with watercolor and inks that are bold and graphic and super fun to create. I’ll walk you through each watercolor painting and illustration technique, demystifying the how to’s along the way. Each video lesson breaks down the watercolor painting techniques into smaller chunks giving you the ability to follow along using the practice handout. Then, we'll put it all together and create a whimsical flower painting. Together, we will walk through all of the techniques and create the final painting together. FREE You Are Beautiful Card Download featuring my original whimsical flower art. Download, print and give. Perfect for Beginners and MORE! This class is perfect for beginners and/or seasoned watercolor artists. It is my intention for you to have FUN and enjoy painting. May you find pause from the hustle, pure joy and inspiration here!